We tend to think of winter as a calm, peaceful time of the year. And for the most part, that’s correct. However, the season does throw up some unique dangers that people should be aware of as they go about their daily business. Below, we take a look at three of the most common winter hazards, as well as offer some advice on how you can best navigate these challenges and keep your family safe. Most of us learn to drive in perfect driving conditions. Alas, winter provides anything but perfect driving conditions. If you live in an area that receives sub-zero temperatures and plenty of ice and snow, then it’s important that you know how to operate a vehicle safely in these conditions. 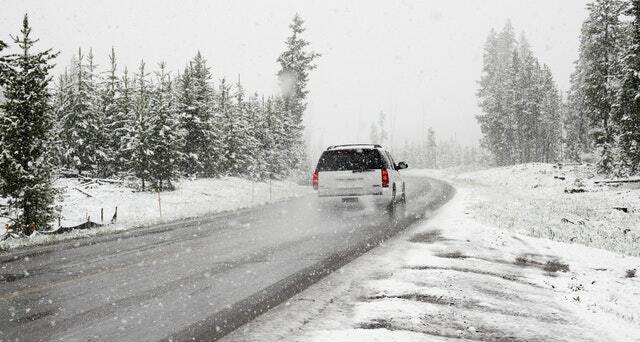 It all begins with ensuring that your car is well-maintained and has appropriate tires, as well as knowing the best driving practices for snow and ice. There’s nothing better than spending a day on the slopes with your friends and family! However, while there’s plenty of fun to be had as you work your way down the mountain on skis or a snowboard, there are also dangers you need to keep in mind. Always wear a helmet, don’t try and ski runs that are beyond your skill level, and call it a day when your body feels tired. A roaring fire can be a great addition to a winter’s evening, but you’ll need to practice sound fire care, as well as make sure the fire is out before you go to bed. Though it’s unlikely that anything bad will happen, if it does, it’s important that you know what to do. Look at taking a first aid course with LIT First Aid & Lifeguard Training, and you’ll have the basic skills needed to handle an emergency.